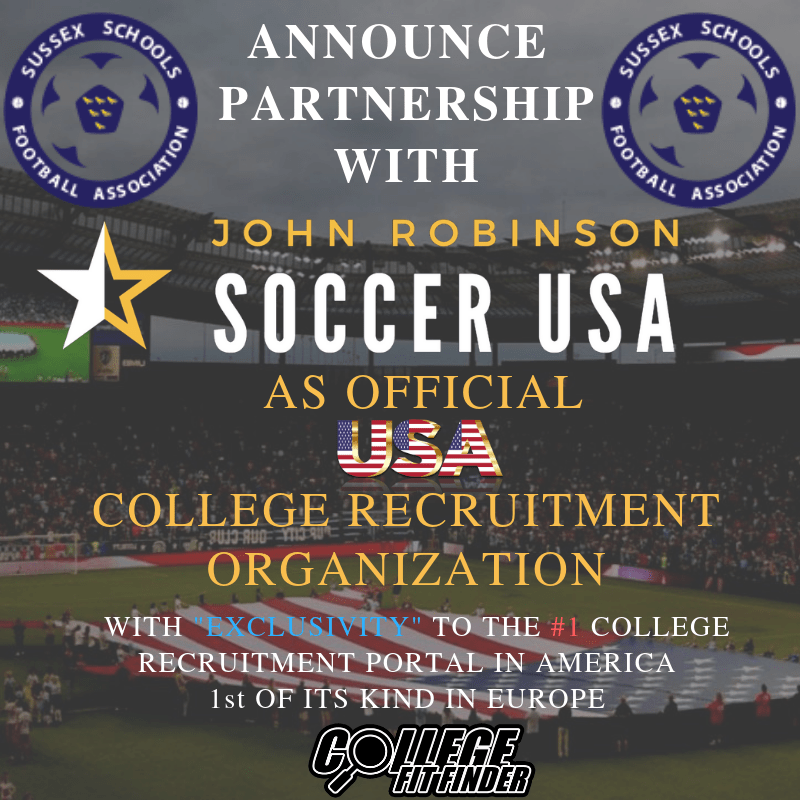 We are delighted to be working with John Robinson and the US College Pathway. This is an exciting opportunity to enable the young footballer’s of Sussex an opportunity that may not have previously been available. The partnership will see boys and girls have the chance of a scholarship to the USA which could be the stepping stone to a professional career in football. 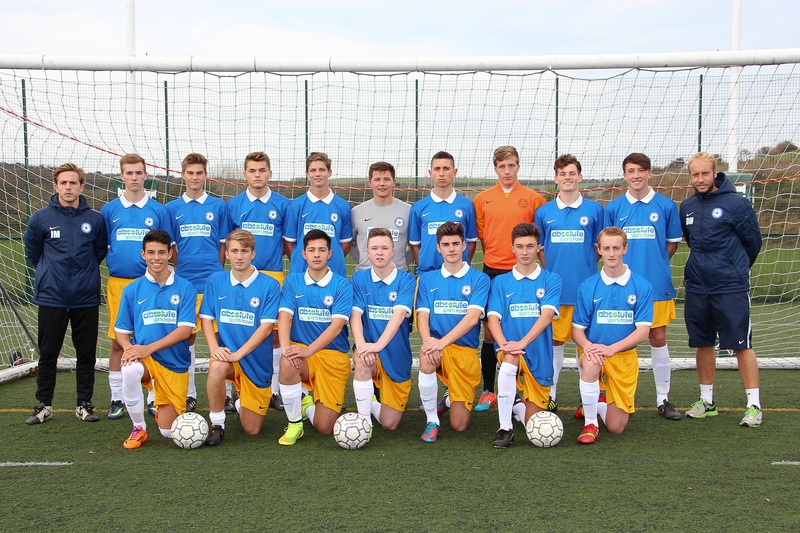 John said “I am extremely excited about this partnership with Sussex Schools FA. After several conversations & then meeting with Ross, I knew that there commitment to offering their players another opportunity with education & football was first & foremost. Being from Sussex , makes it even more special. Speaking about John Robinson Soccer USA and its exclusive partnership with College Fit Finder, the #1 technology layer recruitment portal in America he said “there’s not a scheme like it”. “I got involved with this scheme because in life kids sometimes can’t afford the opportunities and I think sometimes when you are paying a certain amount it leaves a lot of players out of getting an opportunity. • To create American college scholarship opportunities for soccer players in the most efficient and affordable way possible.